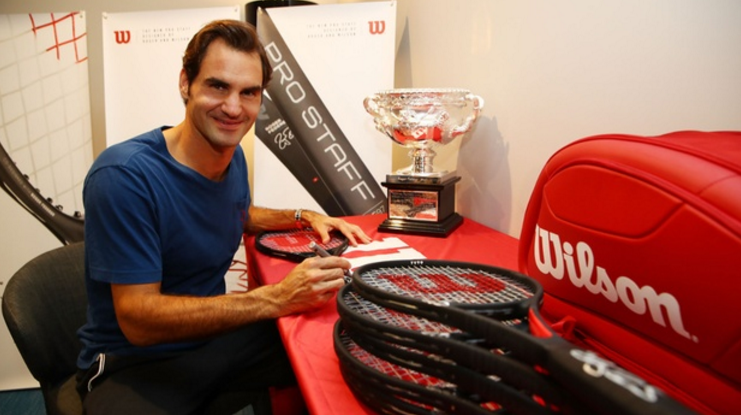 Tim Buwick, National Promotions Director of WILSON RACQUET SPORTS has plenty to smile about, and be grateful for these days, as the WILSON Pro Team is having SOME SEASON on tour. With Roger and the Williams Sisters leading the way, Tim talks about his superstars, and why YOU should try one of the new sticks that are producing title winners, on what seems like a weekly basis!! Working with the "Madison Avenue darlings" of tennis has been Tim Buwick's daily life, as National Promotions Director of WILSON RACQUET SPORTS. Hey Tim, enjoy what Roger's been up to lately? ?